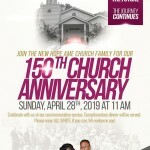 One of the oldest black churches in the nation, the origins of the church date back to 1869 when recently emancipated African Americans began gathering to worship at “camp meetings” at the New Hope Camp Ground. A national treasure in Atlanta turns 150 years old this month. 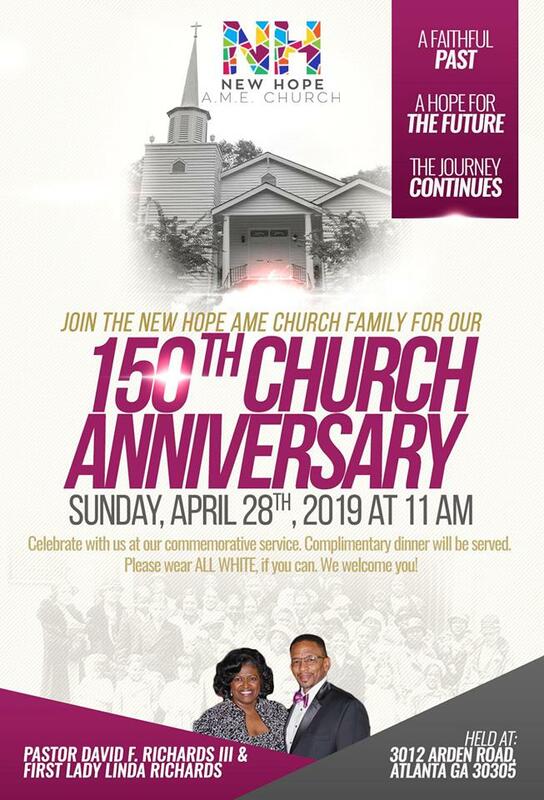 New Hope African Methodist Episcopal Church, one of the oldest African American churches in the country, will celebrate its 150th anniversary during a special Sunday service on April 28 at 11:00 a.m. in their sanctuary located at 3012 Arden Rd NW, Atlanta GA 30305. The all-white attire celebration will include a number of special guests, performances and a keynote sermon fromBishop Reginald T. Jackson, Presiding Prelate of the 6th Episcopal District of the AME Church. The congregation continued to work as farm laborers and servants for white families in the area and lived in small neighborhoods in the vicinity. In 1927, the original church building on the property burned down. The current building’s basement was built the following year, while the new sanctuary was not completed until 1936. Across the street from the church is a 1.86-acre historic New Hope Cemetery containing dozens of graves. In 2009, New Hope AME Church was listed on the National Register of Historic Places.